The Ice Bucket Challenge has raised an estimated £60m for charities on both sides of the Atlantic in the two months it started spreading on social media. It has been criticised as a "middle-class wet T-shirt competition for clicktivists", while those closer to the charities it supports have praised it for raising awareness of difficult issues. But do social-media-driven campaigns such as this and its forebear the ‘no make-up selfie’ offer charities the opportunity for genuine long-term engagement with potential supporters? A key difficulty for charitable campaigns is funding cannibalism, related to what psychologists call ‘moral licensing'. Because people on average are limited in how much they are willing to donate to good causes, if someone donates to one organisation, they will likely donate less to other charities. One good deed often displaces another. The ice bucket challenge looks particularly problematic in this regard: it provides the perfect conditions for the moral licensing effect to occur, by giving you a way to publicly demonstrate your charitable act, despite achieving little. It creates an environment designed for you to feel as good as possible about your actions, without regard for how much good those actions do. This isn’t only a problem for the ice bucket challenge — fundraisers in general are engaged in an arms race, attempting to make the benefits to the donor as large as possible and the costs as small as possible. This should be a grave concern, because we risk spending more and more on marketing and ultimately shrinking the charitable pie. If we create an attitude where no-one will donate unless it comes with great rewards, then the charitable sector as a whole will be worse off. Of course, it’s fine to pour a bucket of water over yourself, or to run a marathon, or go skydiving. But we need to connect these actions with significant behaviour change; otherwise we’ll create campaigns that are better and better at moving money around, but no better at all at getting people to give more. 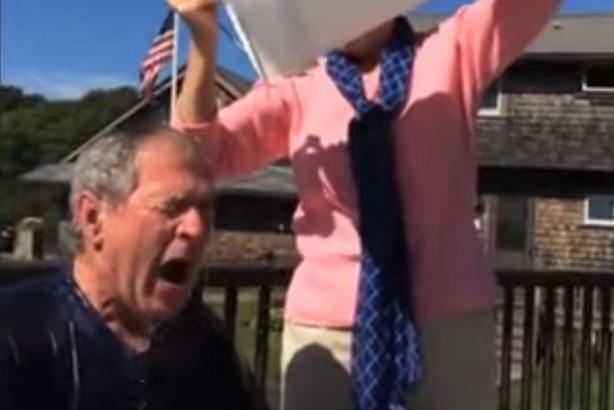 What’s not to like about the Ice Bucket Challenge or the nomakeupselfie? We fundraisers can get terribly po-faced about our craft. These were a bit of fun and have raised a pile of money for some great causes. Brilliant. I’m immensely proud of the level of sheer professionalism that British fundraising has achieved and I’m the first to be critical when people who don’t know the business, come up with schemes that ‘will transform charities’ incomes’. But they never do. The Give More campaign last year promised to achieve half-a-million donation pledges and achieved just 3% of that. There’s a new one this year, Giving Tuesday. Not a chance, without a massive spend. But these social media driven campaigns are completely different. They have a life of their own, no-one owns them and they’re joyous. Facebook is actually doing what it has promised for years but hasn’t delivered, funds to support charities. No doubt the gainsayers will say people who are not natural donors are making a gift but with no real commitment. But who cares, they are having a pile of fun, getting the warm glow of posting the donation online and various charities are benefitting. Committing yourself to supporting a charity is something that builds through age and circumstance, and the earlier and the madder the engagement, the more likely that serious support for charities will develop later. That’s why Race for Life works so well, it’s probably securing legacy income for Cancer Research UK in 80 years from now.